Drilling rigs stacked at the Port of Iberia in 2016. A drop to an average price in the $54 range for oil this year outlined in a U.S. Energy Information Administration report likely won’t spell doom for deepwater oil drillers, who are investing long term and have seen lower prices. It does mean benefits for petrochemical companies and refiners in Louisiana. The United States expects domestic oil production to reach new heights this year and next, and that prices — for both crude and gasoline — will be lower than they were in 2018. Government forecasters also are sticking to their forecast that the United States — already the world's biggest oil producer — will become a net exporter of crude and petroleum products in 2020. The rising production in the Permian basin likely will continue to benefit Louisiana’s downstream sector, as petrochemical companies and refiners continue to source plentiful oil and natural gas from neighboring Texas, said David Dismukes, head of the LSU Center for Energy Studies. The flip side is that the attraction to cheaper, abundant drilling in the Permian Basin has detracted from onshore production in Louisiana in recent years. A rebound in prices from the deep slump that started in 2014 is generating a little more interest in the state's natural gas supplies in northwest Louisiana and potentially developing oil across the midsection of the state where shale formations are harder to drill than in Texas. The shale boom has helped fuel billions of dollars in investment in Louisiana’s petrochemical sector, where companies are building large manufacturing complexes along the Mississippi River and near Lake Charles. Dismukes added the fact that the U.S. is becoming a net exporter of oil is a good sign for Louisiana's oil sector, which is an exporter of petroleum, especially refined products. Plus, the state's liquefied natural gas exporters will benefit, as they continue moving forward with multibillion-dollar LNG export facilities, especially in the Lake Charles region. LSU researchers last fall cut their forecast for job growth in the oil and natural gas-producing sector in Louisiana, mainly because of geopolitical tensions and price uncertainties. Still, the LSU forecast was a “mixed bag” for Louisiana oil and gas, and projected job growth in both the production and downstream industrial sectors. The price drop outlined in the U.S. Energy Information Administration report likely won’t spell doom for deepwater oil drillers, said Eric Smith, head of the Tulane Energy Institute. Oil companies generally make investment decisions based on longer time horizons than the EIA’s short-term outlook. However, offshore oil producers have shifted to more efficient drilling projects that don’t require as much capital investment, he said. 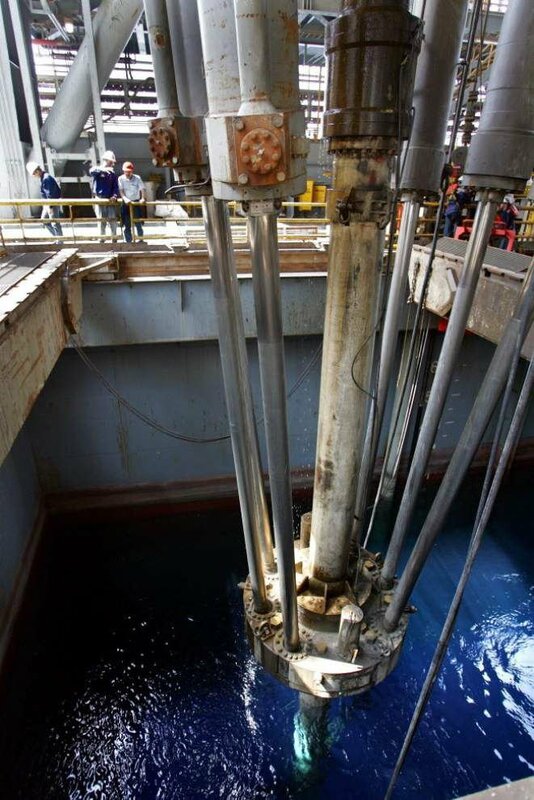 Dismukes noted the increased efficiencies mean not as many workers will be employed by offshore drillers. The EIA said Tuesday that it expects the United States to pump 12.4 million barrels of crude a day in 2019 and 13.2 million barrels a day in 2020. The January average was 12 million barrels a day, up 90,000 from December. Concern about oversupply led OPEC and its allies, including Russia, to agree in December to limit output during the first half of 2019. On Tuesday, OPEC reported that its member nations sharply reduced production in January. The price of natural gas, an important fuel in power generation and home heating and source of fuel and feedstocks for many chemical plants, is expected to rise 4 percent through 2020. Advocate business writer Sam Karlin and Associated Press business writer David Koenig contributed to this report.